Where to stay, eat, drink and play in the Snowy Mountains during this winter wonderland of a music festival. The Snowy Mountains has long attracted snow bunnies from across the state, nation and even oceans to play. Though these days the area is buzzing with much more than skiing fresh powder to entertain you. Whether you've never so much as seen snow before, or are a seasoned pro, there's plenty to taste, see and do when you're not flying down the slopes. A big draw card during the winter season is the Snowtunes music festival, returning to Jindabyne this year to host an epic snowy weekend. The breathtaking lakeside town of less than 3000 people is set to explode with music from a swag of Australian and international artists. 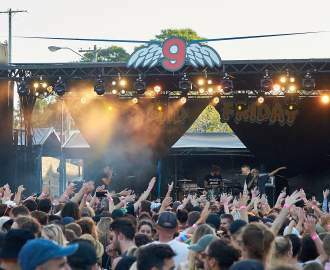 Unzip your puffer jacket and warm up to some fiery sets from Gang of Youths, Safia, Tigerlily, Mashd N Kutcher, Klingande, Royal and Skeggs — just to name a few. This is not a drill; if you're looking to see this winter out dancing it up to some electro tunes, surrounded by some pretty stunning snowy vistas, you'll want to mark this one in your diary for the first weekend of September. The two-day music festival is just the tip of the 'snowberg', if you will. 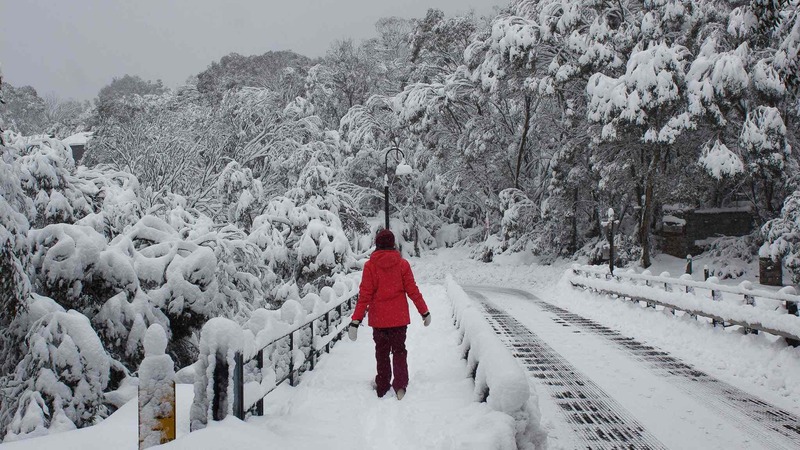 We've partnered with Destination NSW to bring you a Snowy Mountains getaway cheat sheet, so before, after and between sets, you can pack in as many snowbound activities as possible. From your road trip to the snow and into the wee hours of après ski, the Snowy Mountains region has a bustling food scene that'll keep you going. Make your first stop Ingelara Farm Truck. This bright blue food truck sits just outside of Bredbo and caters to all your stop, revive, survive needs from coffee to homemade sourdough. And once you've settled in The Snowies, there's plenty more tasty goodies to discover for all budgets. 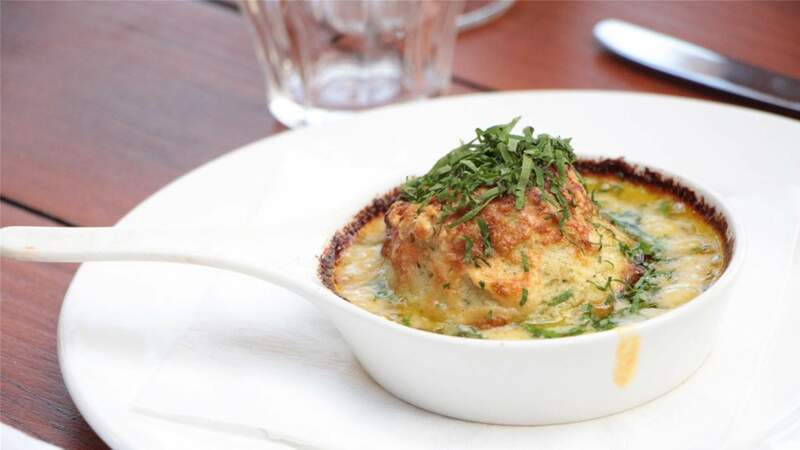 Take a culinary journey down the Alpine Way running between Jindabyne and Thredbo. Stop by award-winning Wildbrumby Schnapps Distillery Door and Café for a free tasting of their wide array of schnapps — our picks are the butterscotch and spicy devil's tongue — and stay for the hearty Euro-inspired meals like German smoked sausages, the schnitzel burger and Austrian beef gulasch. Next stop along the way is Crackenback Farm Restaurant. If you splurge anywhere, make it here. The French farmhouse-style cuisine is best enjoyed leisurely by the fireside. And make sure to save room for dessert, because the hot chocolate mousse with vanilla ice cream and marinated mandarins will crack even the most seasoned dessert connoisseur. If you're based Thredbo village way, take a tour through the brimming offering of eateries, bars, pubs and even a nightclub. Stop by Central 2526 for their dumplings of the day, or wander up to The Denman Hotel for the fanciest cocktails in town. Looking for a mid-ski refuel? The classic drive-thru's got nothing on Eagles Nest. Ski in and out of Australia's highest restaurant perched 1937 metres above Thredbo at the top of Kosciuszko Express Chairlift. The show-stopping 270-degree view pairs nicely with some hearty classics such as a rather generous parmigiana schnitzel, loaded waffles and a cold German beer. Of course, a trip to NSW's snow capital wouldn't be complete without a bit of shredding — they don't call it 'Shredbo' for nothing. Whether you prefer one plank or two, investing in lessons for those just starting out or even those in need of a refresher will definitely pay dividends. Thredbo runs two-hour group lessons three times a day at Friday Flat. You'll find solidarity in your fellow students as five-year-olds fly past you down the mountain. 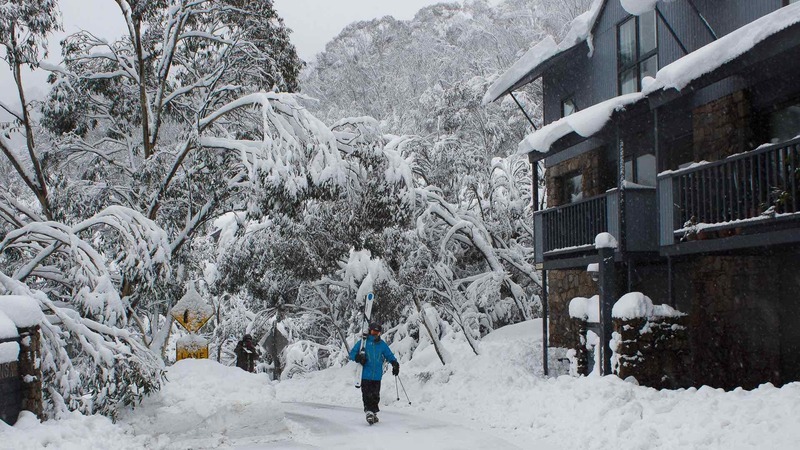 Many locals and visitors alike have not ventured beyond the resorts into the surreal wilderness, but K7 Adventures opens this world up with their snowshoeing tours leaving from Thredbo resort. On a clear day, you'll be rewarded with awe-inspiring views across the valley. On a snowy day, the hike across fresh snow is well worth the unexpected beauty of snowy gums and staggering rock formations that emerge from the white silence. You'll feel like you've just discovered frozen Atlantis. K7 also hosts cross-country skiing, photography and ice climbing tours. After carving up the slopes, or just making some casual snow angels, slip on your après-ski boots and get ready for the evening's entertainment at Snowtunes. If you're feeling extra celebratory, opt for one of their sweet package deals like the Snow Worries. As the name suggestions, the festival legends organise it all for you, including a two-day admission ticket, express entry, return bus from Central Station in Sydney to Jindabye, accommodation and brekkie at the Snowy Valley River Inn. 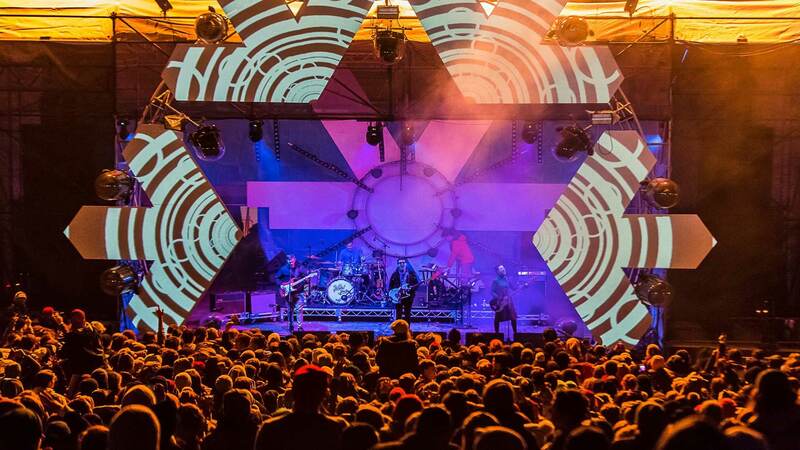 You'll be sorted for a full weekend in the snow, without a care to dampen those spirits. And finally, a tough day playing in the snow or burning up the dance floor is sure to take it out of you, so the Lake Crackenback Spa & Wellness Centre is the chilled-out cherry on top of an action packed weekend. Book into a facial, massage or go all in with a spa special like their Winter Day package that sees you massaged, exfoliated and completely relaxed. Go on, you've earned it. To fully immerse yourself in alpine luxury, check in to Lake Crackenback Resort & Spa nestled at the foot of the mountains on the edge of Kosciusko National Park. The striking lake view apartments and mountain view chalets cater up to seven mates, while the expansive grounds are a playground for wildlife and visitors alike. Greet the day with the local kangaroos, try your hand at archery in the afternoon, take a dip in the indoor heated pool pre-dinner, then grab a pizza to-go for some in-room dining with a view from Alpine Larder or dine at onsite Cuisine Restaurant & Bar right on the edge of the lake. 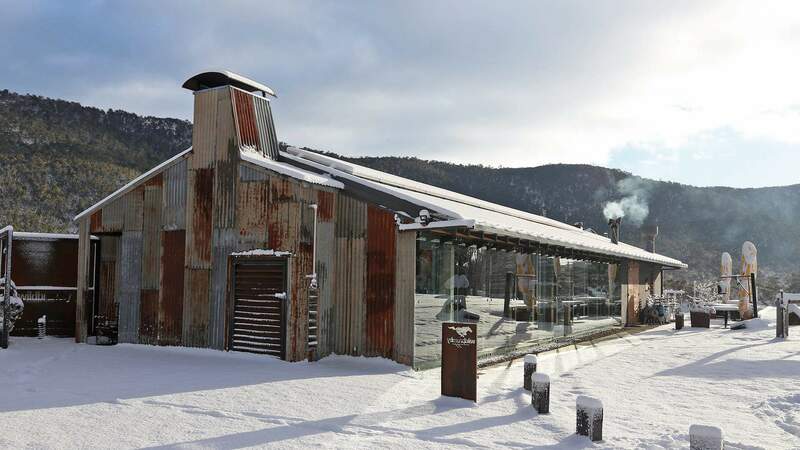 The resort also offers a complimentary shuttle bus to the Skitube that connects you via rail to Perisher and Blue Cow. 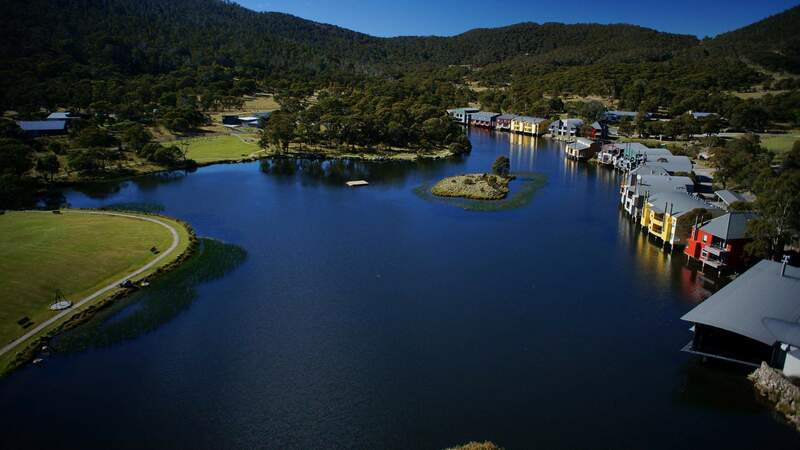 It's also only a 20-minute drive along the picturesque road to Thredbo village. Alternatively, you have the option of staying in one of the several ski-in, ski-out chalets on the fields. The big four resorts – Thredbo, Perisher, Charlotte Pass and Selwyn Snow Resort – all offer a huge array of accommodation for all budgets. Though, many of the best value spots can be found in Jindabyne. Round up your nearest and dearest to rent one of the many large guesthouses there. For a splashy stay, split the bill with sixteen mates and enjoy large, private entertainment areas, fancy tubs and open fireplaces. And for a no frills kind of stay, try The Banjo Patterson Inn and take advantage of their pool table, the onsite Kosciusko Brewery and an energetic Tuesday night trivia. Head to the snow to eat, drink and play, then hit the dance floor at Snowtunes, taking place September 1 and 2.